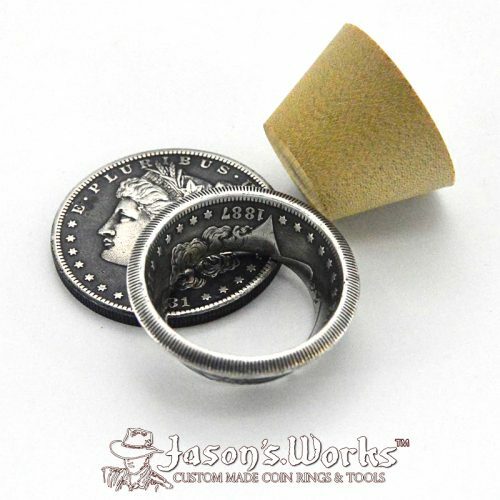 The coin ring technique called the Swedish Wrap, (created by Mikael Möller from Sweden) is now available! 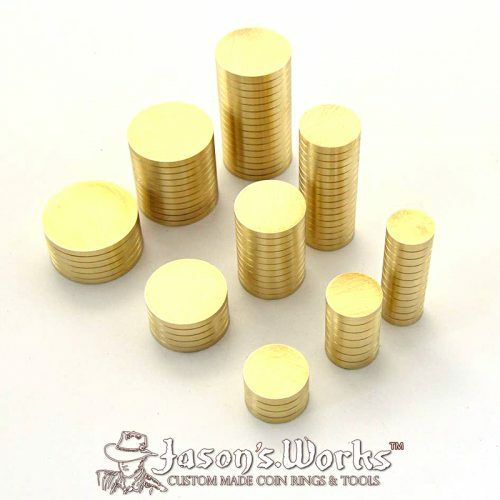 *Now you can make the smallest rings form the biggest coins! 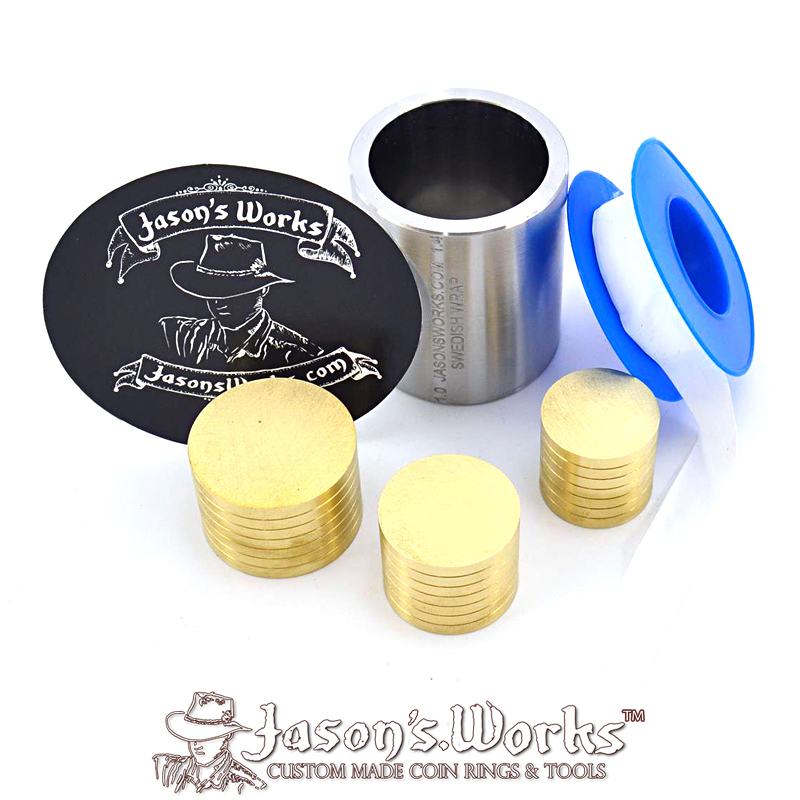 This kit comes with one 2″ hardened stainless steel Swedish wrap die, 3 hardened bronze plungers, and FREE 2 rolls of pipe tape, and a Jason’s Works Sticker. 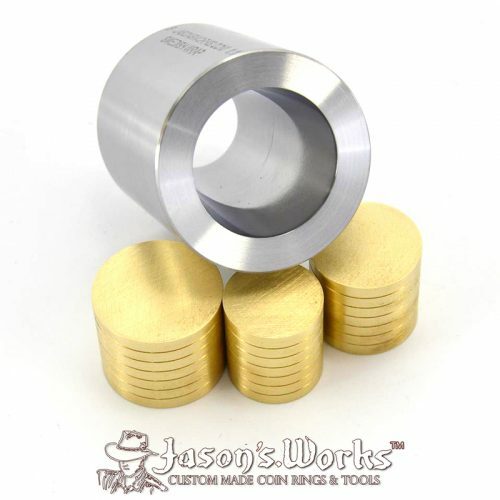 These dies are designed to be the most efficient Swedish wrap dies available. 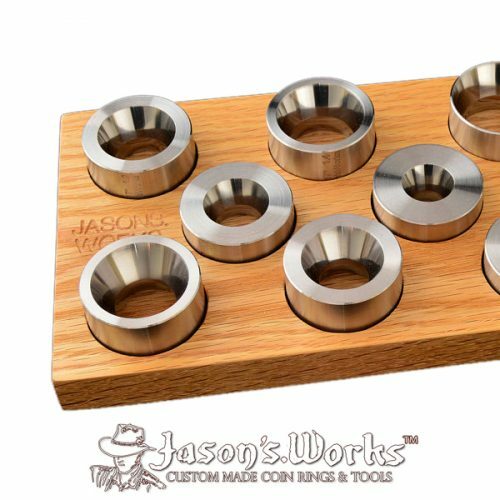 The idea is to use the bronze plungers to press the ring down (reeded side up and wrapped in pipe tape) and use them as spacers on top of themselves to increase the stroke length as you reduce the coin further. 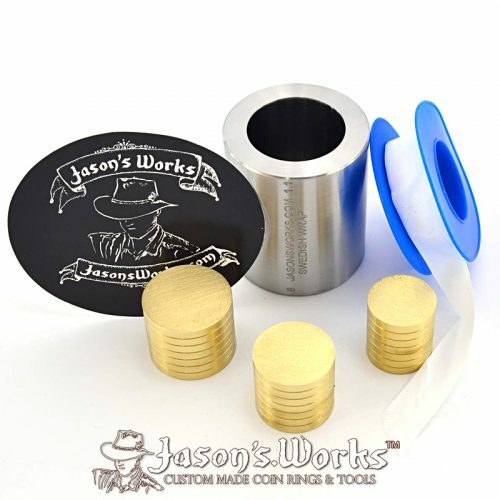 Using the largest die (1.0 x 1.4) take a Silver Eagle, Morgan dollar, a brass medallion (or other similar sized coins) as small as a size 9 using a 1 ton arbor press (or hydraulic press). 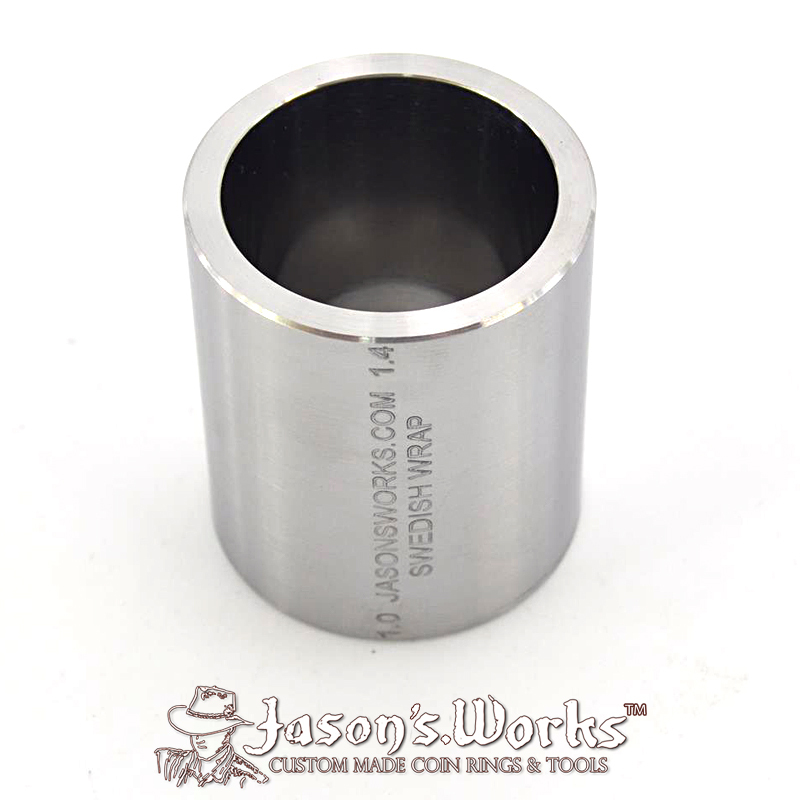 With the other 17 degree and 25 degree dies offered on this site, you can reduce even further to a size 6 or more for a nice rounded shape. I like to reduce the ring to about 2 or 3 sizes larger than my target size. Once I reach that point, I then use my 17 degree die (whichever one the ring fits in) and then finish with the 25 degree die for a soft “fat tire” look. 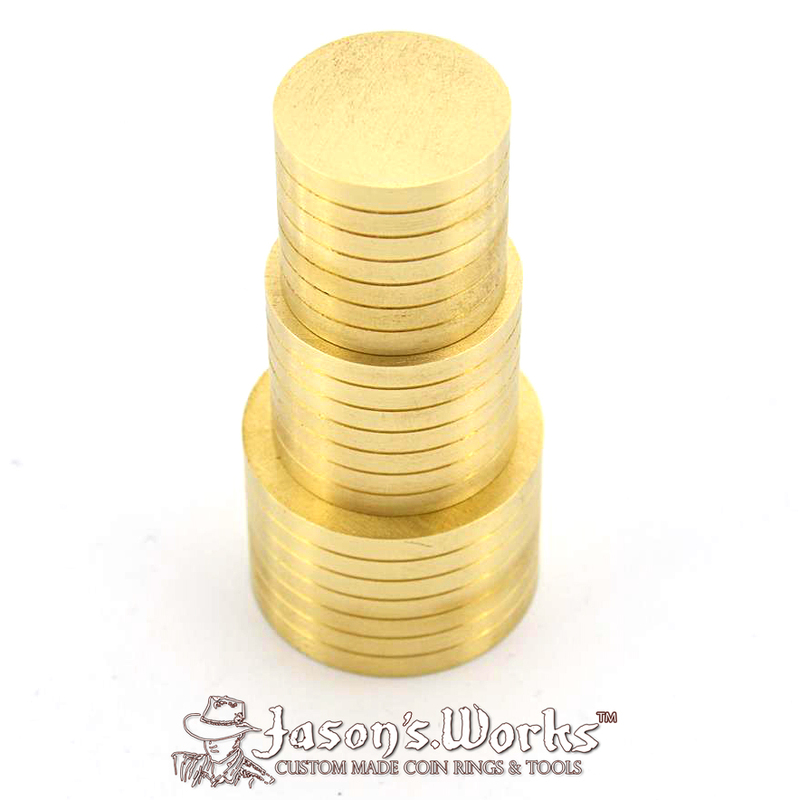 The witness lines on the bronze plungers allow you to see accurately how far you are pressing the coin. After some practice, and note taking, you can easily know when you have reached your desired reduced size. 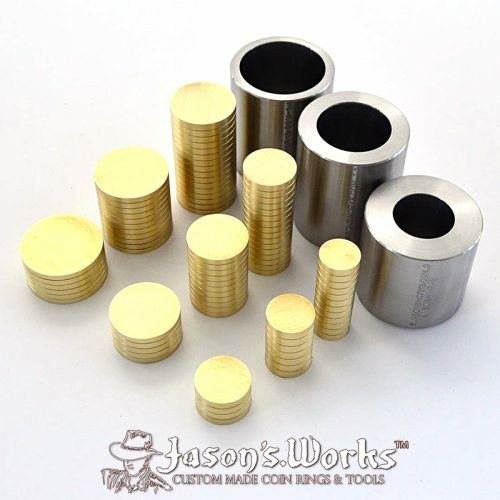 Using the arbor press or hydraulic press allows for 100% of the die to be used. The trick is to extrude the ring out of the bottom for the smallest possible size (Thank you Mike Henry for that technique!) 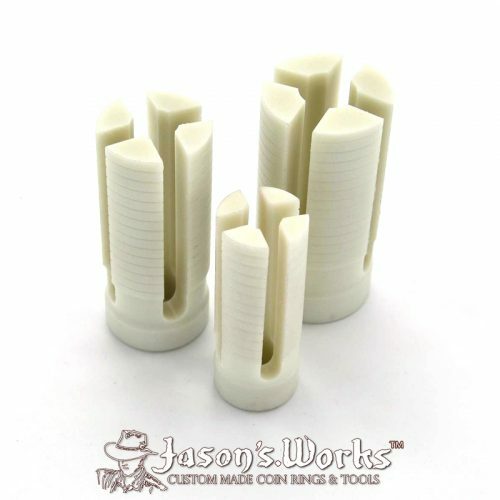 A special feature has been added at the base of the die for proper extrusion. *NOTE: Be sure to not over press the plungers when using a hydraulic press. 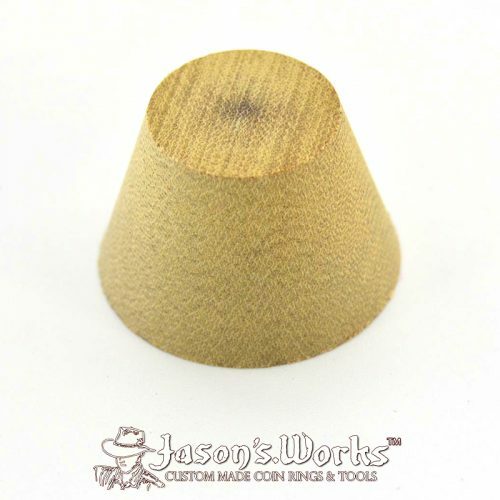 Know where each plunger bottoms out prior to pressing. Use the witness lines on the plunger to assist with this. *NOTE: Remember the 5 most important steps in the Swedish Wrap method. 1. Anneal a lot. Preferably once for every plunger distance when working with silver. Up to two with brass. Better to anneal too often than not enough. 2. 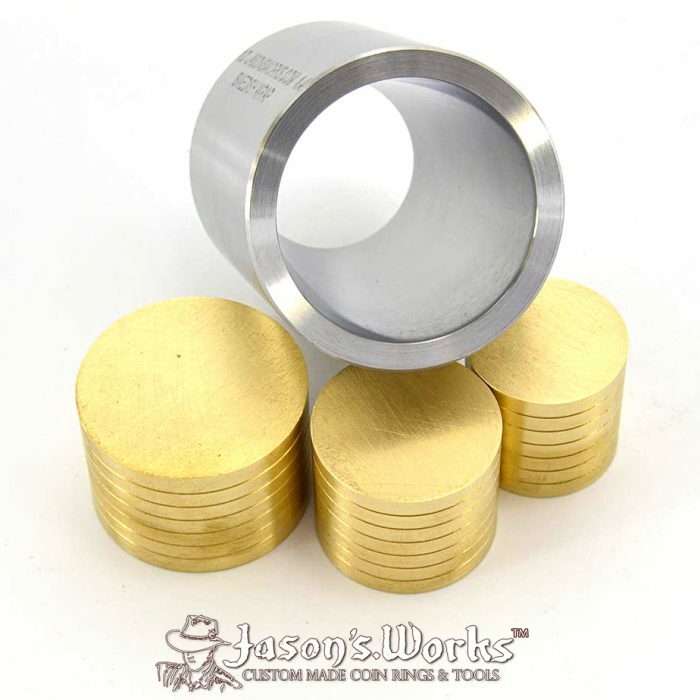 Use lots of pipe tape, re-wrap after each press/anneal. Better to use too much than too little. I wrap up to 30 times for a half dollar and 40 times for a dollar if I’m using the thin tape. It depends on the thickness of the tape and how tough the coin is. Luckily it’s cheap. Rolls can be found for well under a dollar at stores or online. 3. It is better to press the reeded side. Prior to pressing, make sure the plunger completely covers the reeded side of the coin. 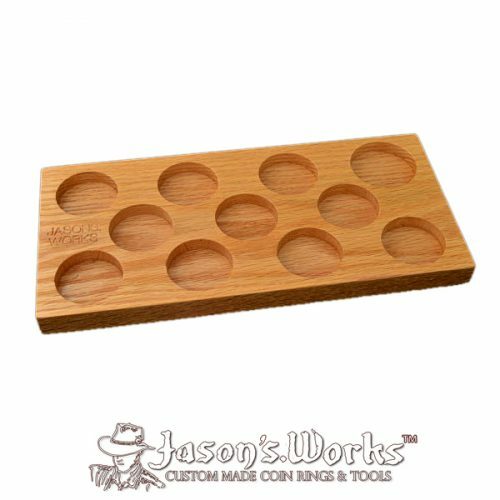 If it does not, use a 17 or 25 degree die to fold in the reeded side until the plunger covers the reeded side. 4. Do not over-press the plungers when using a hydraulic press or large arbor press. 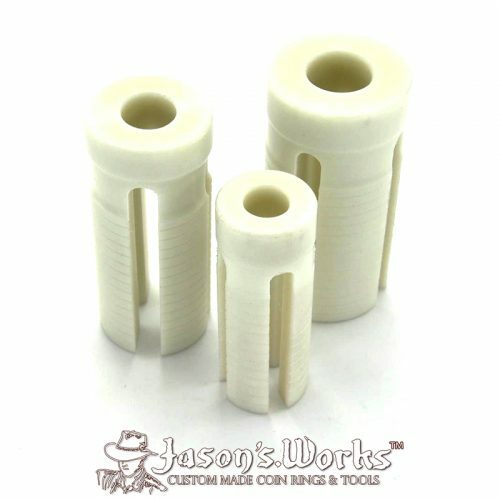 Know where each plunger bottoms out on the dies. 5. Feel free to experiment with different ideas and have fun! The smaller sized rings can be incorporated into bracelet, necklaces, pendants, earrings, even ear gauges!